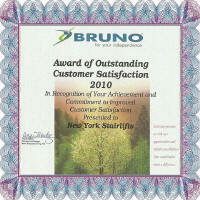 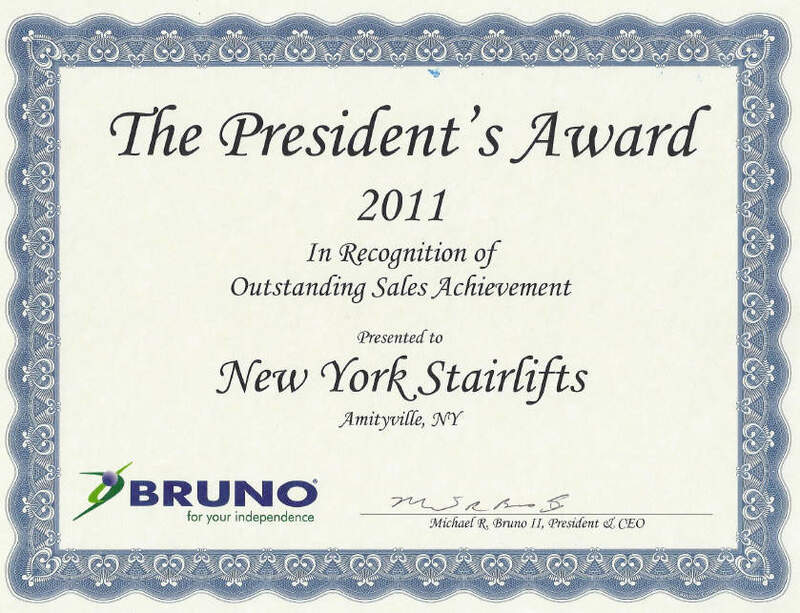 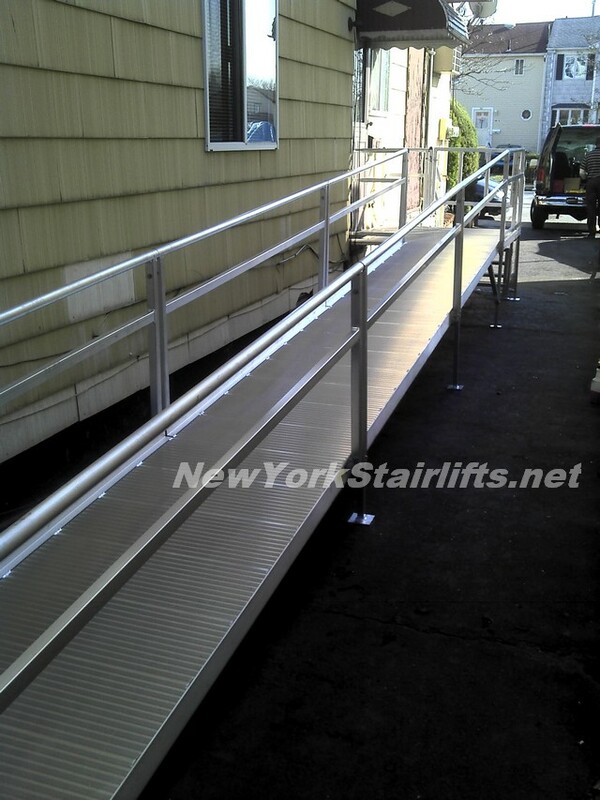 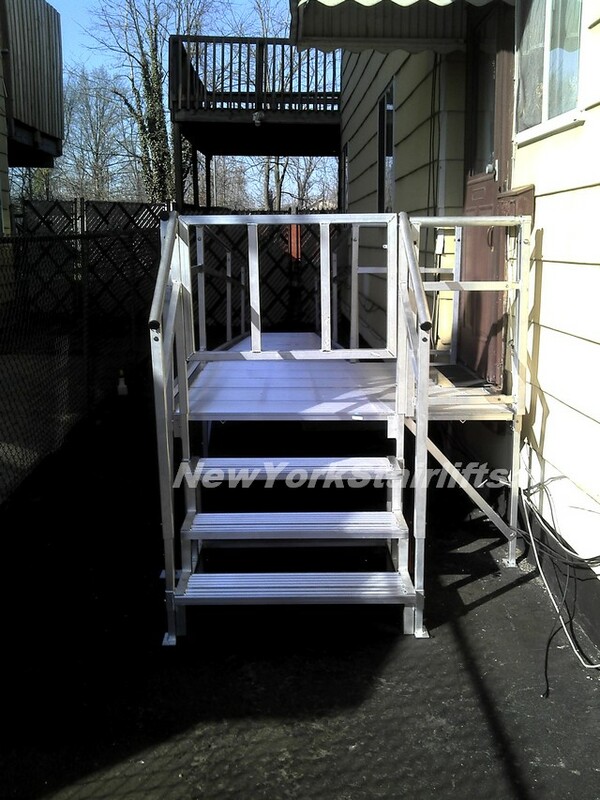 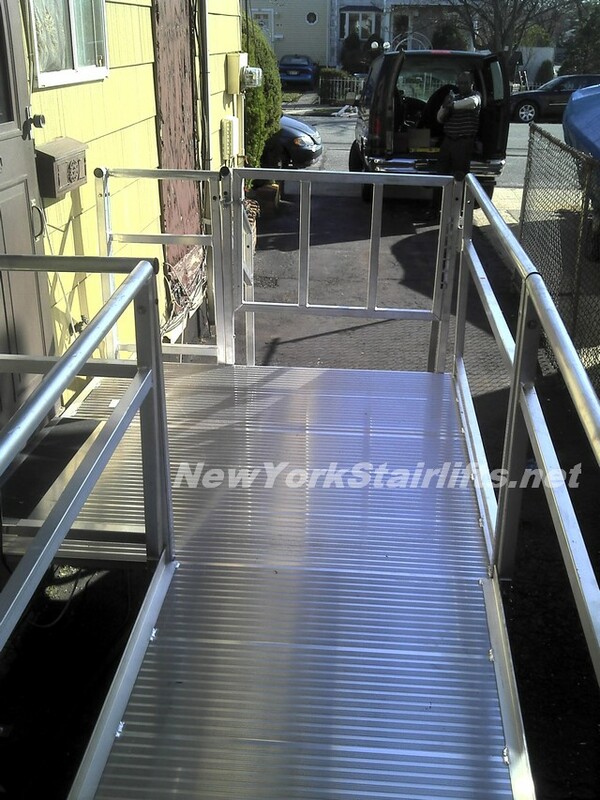 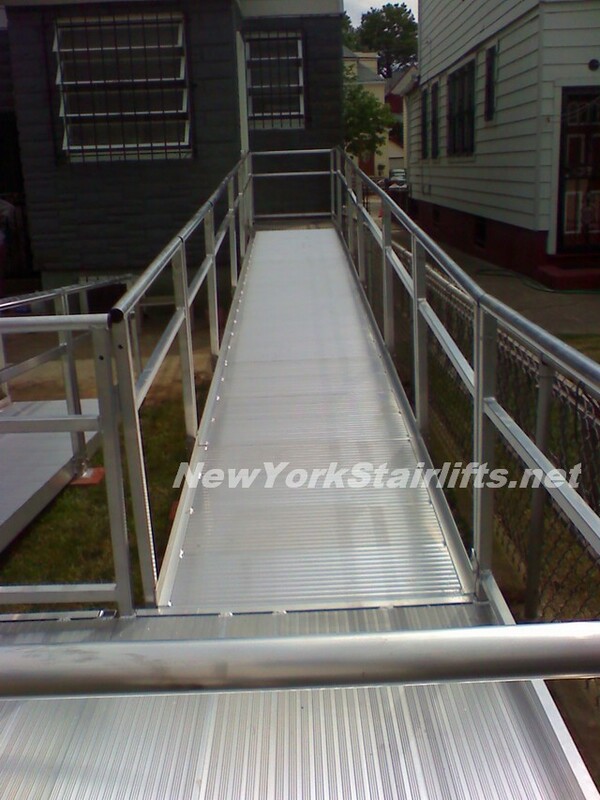 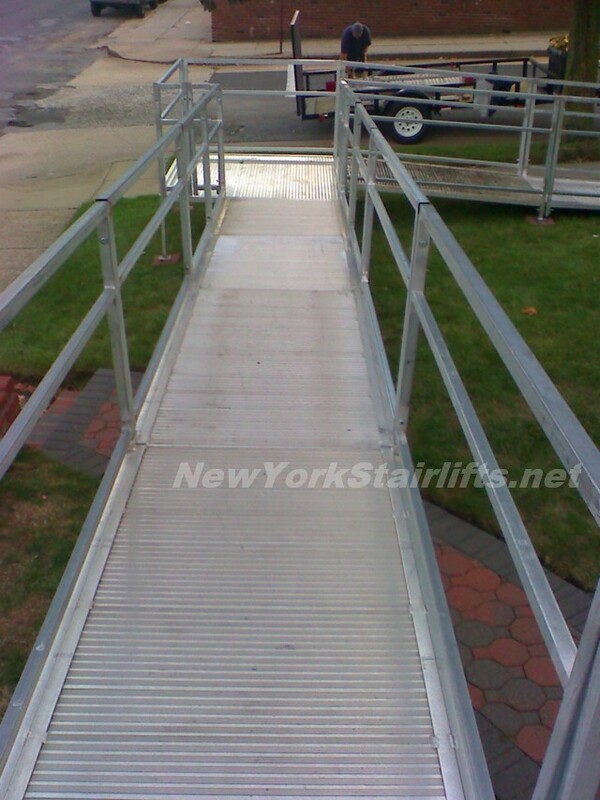 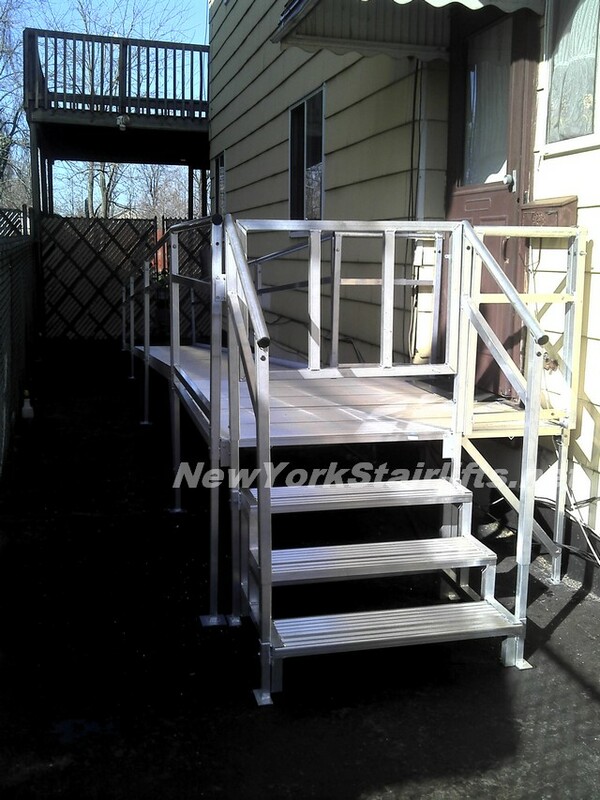 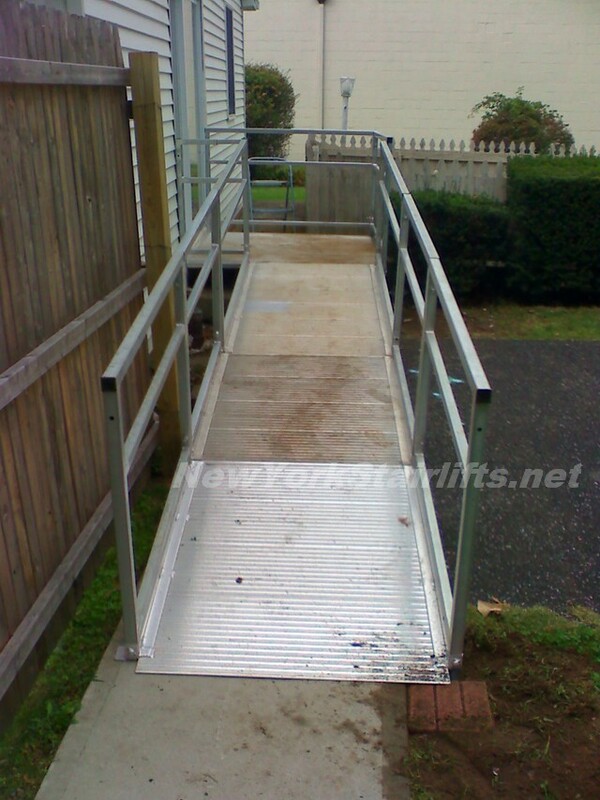 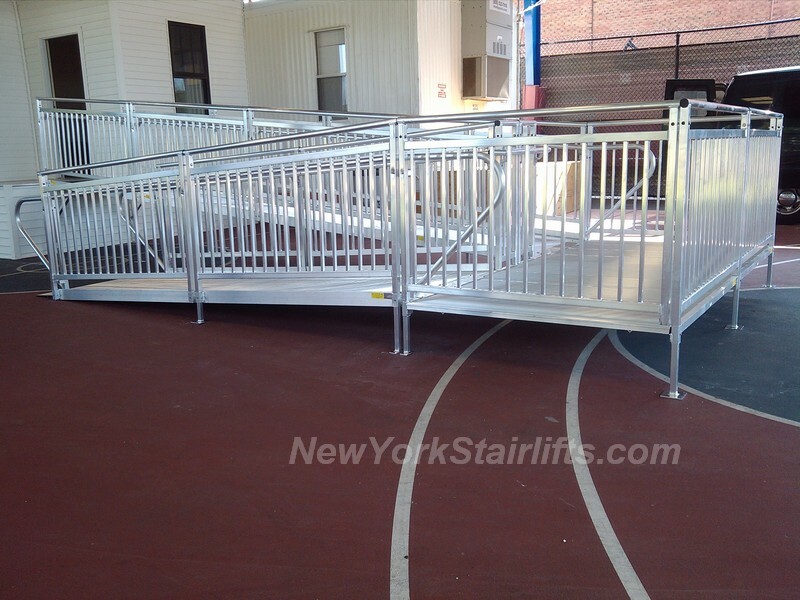 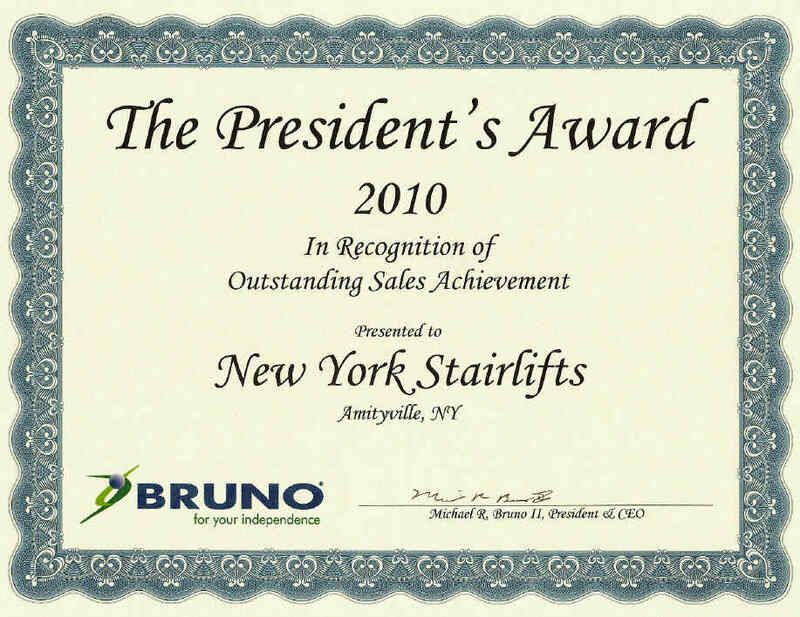 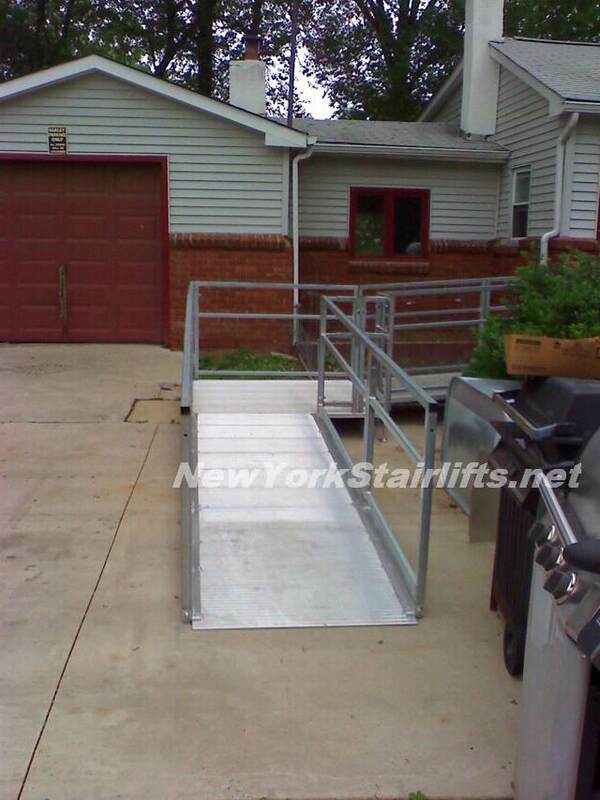 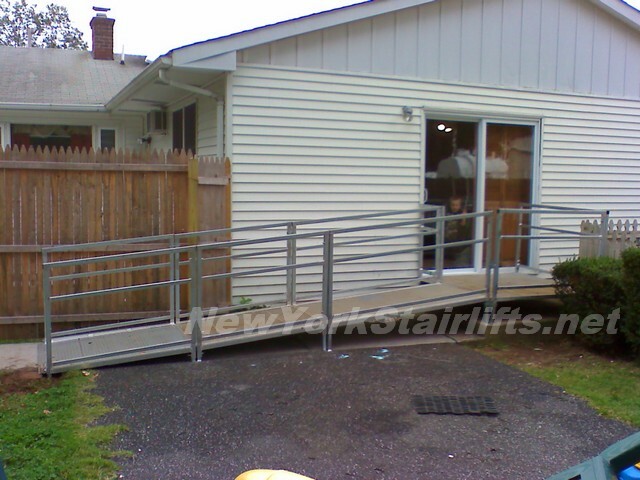 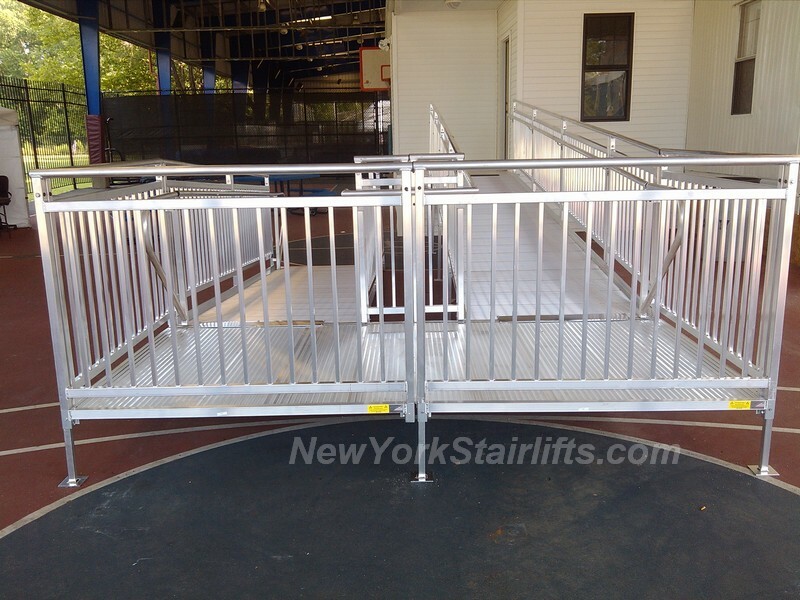 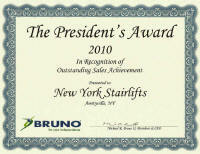 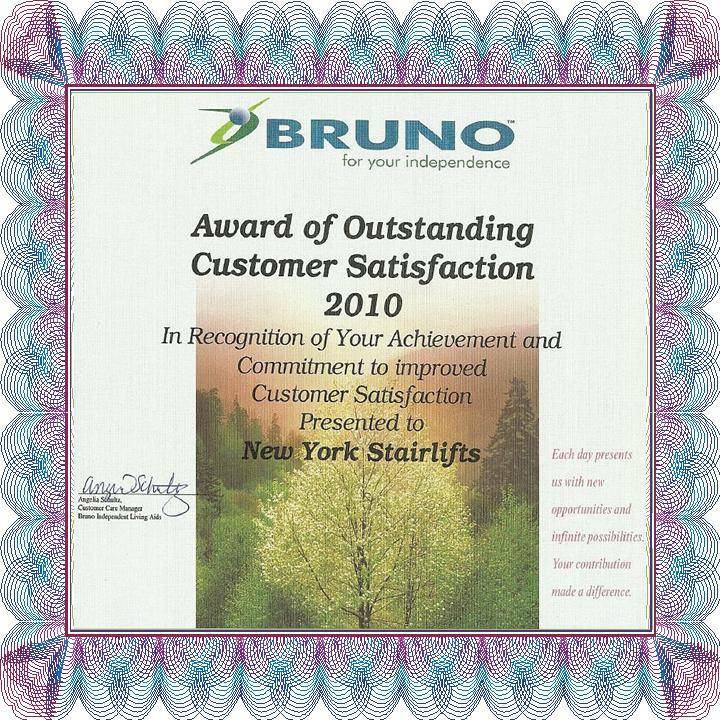 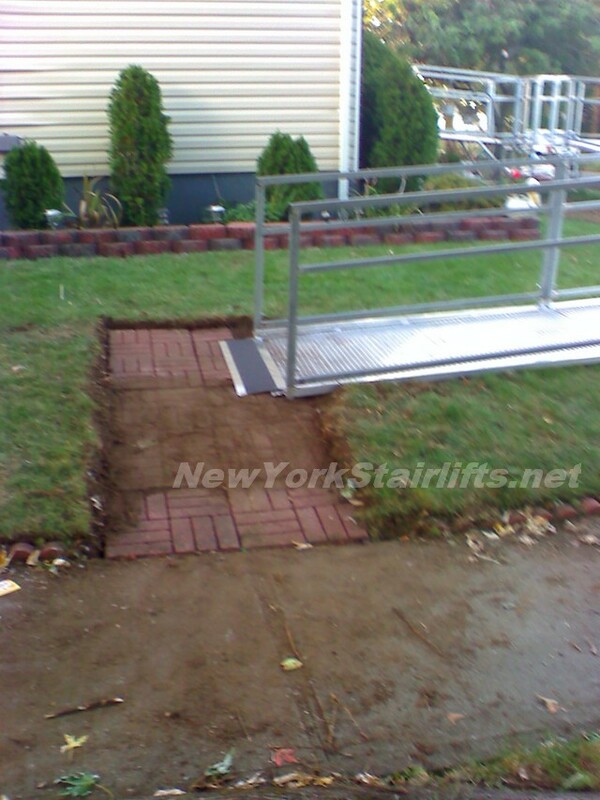 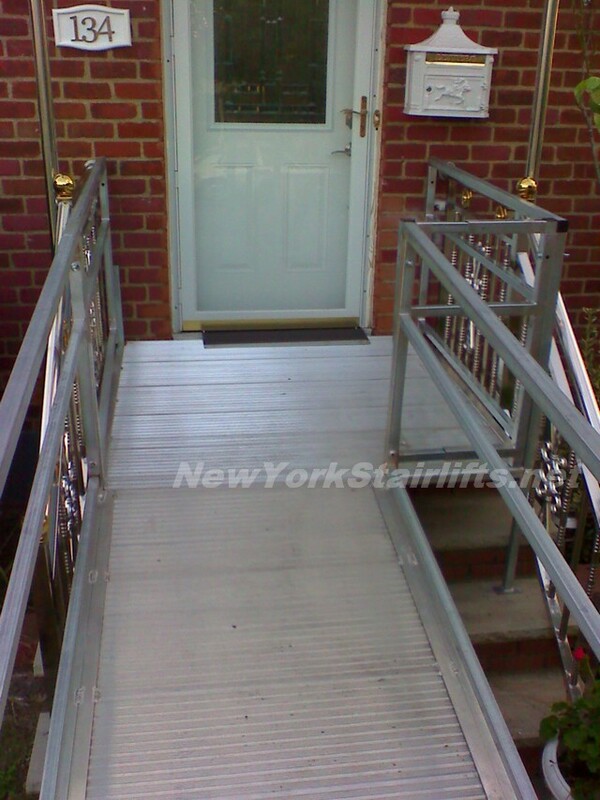 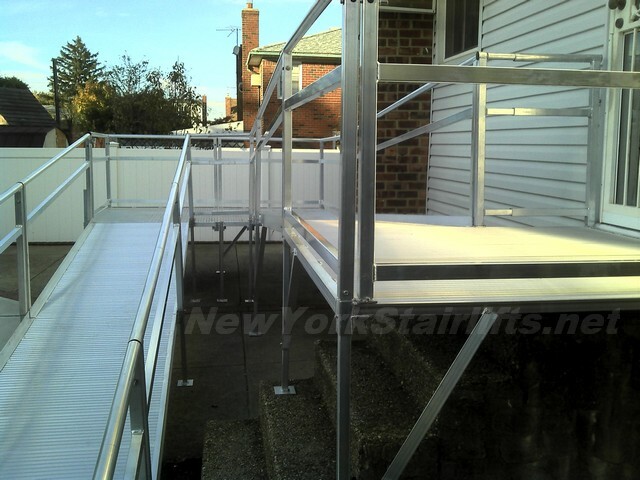 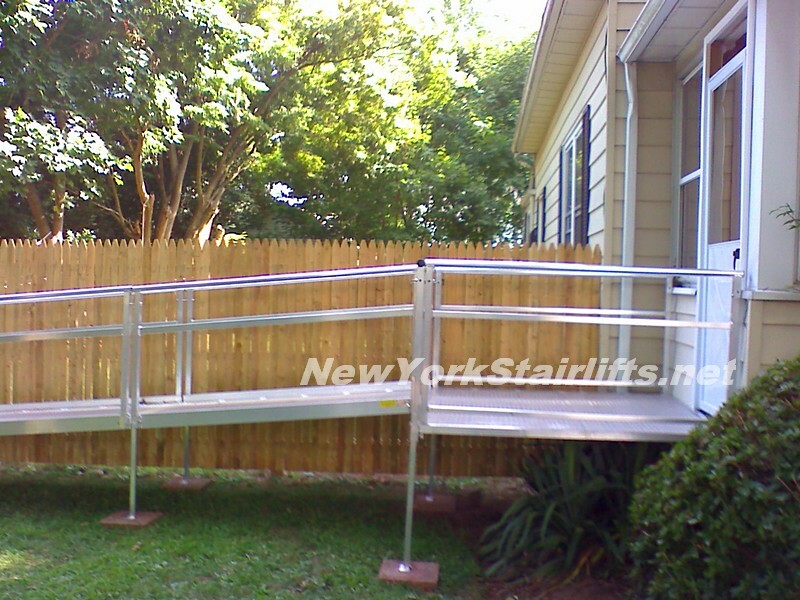 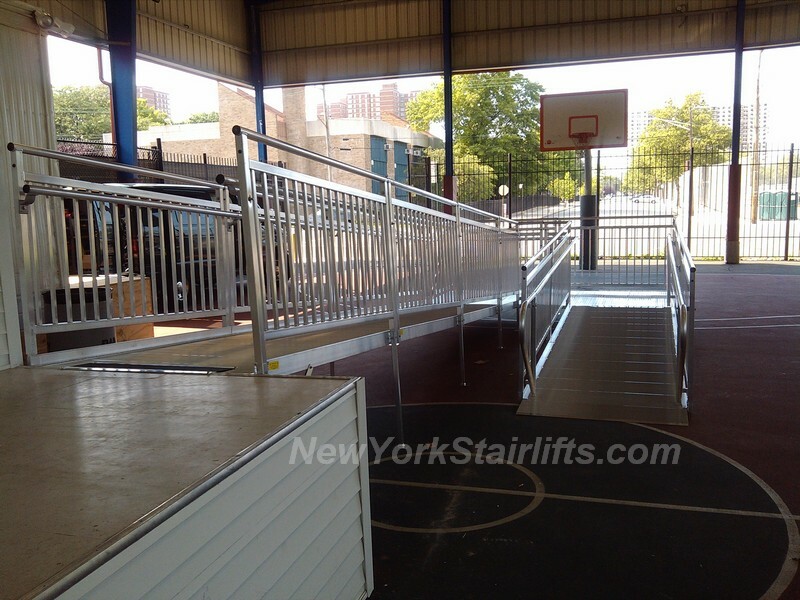 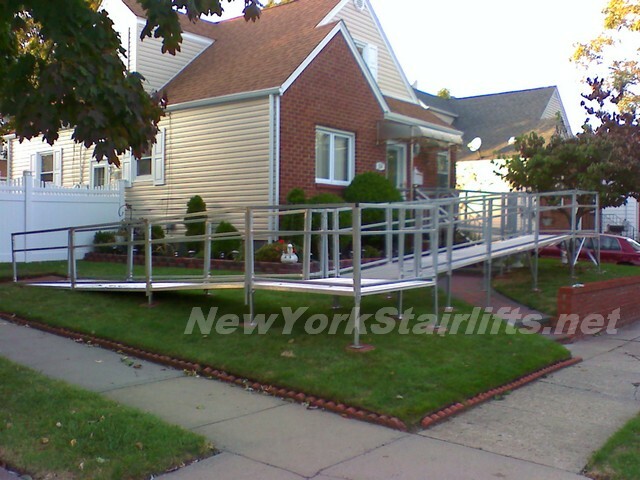 New York Stairlifts - Ramp Install Photos! 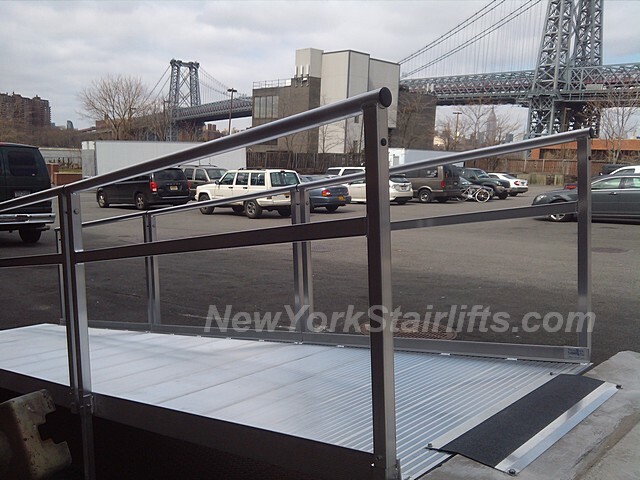 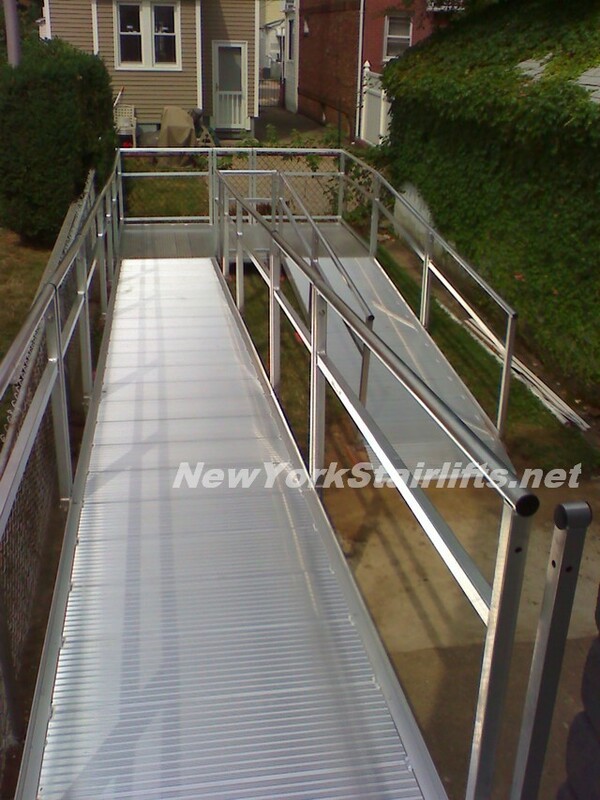 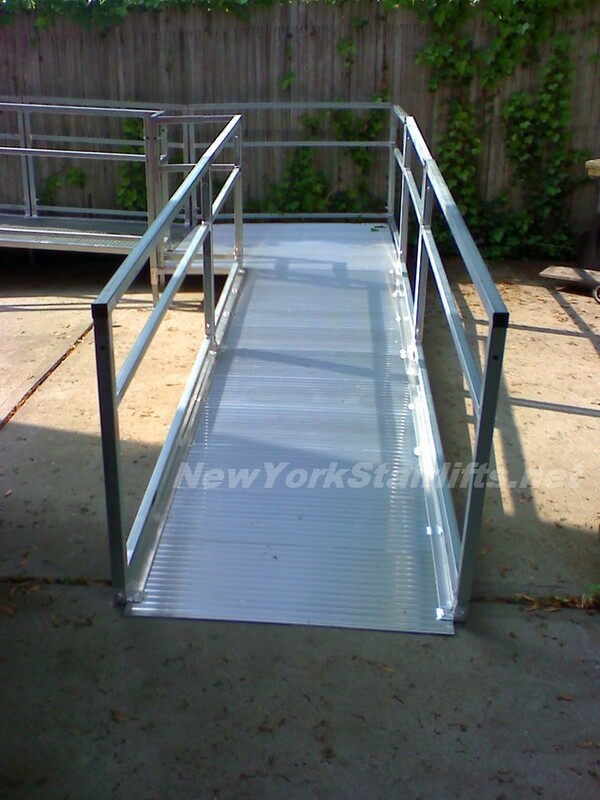 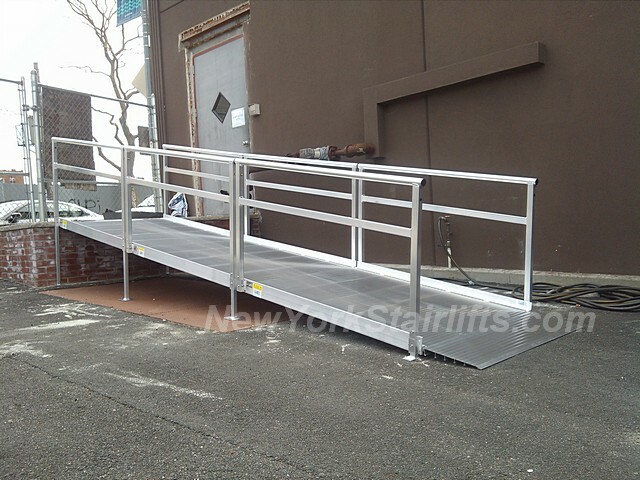 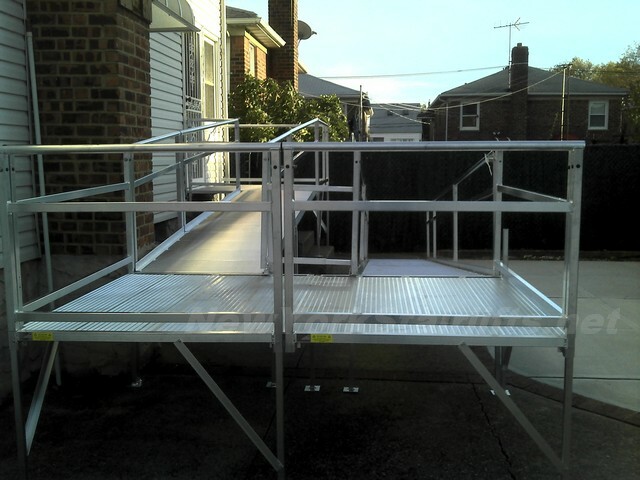 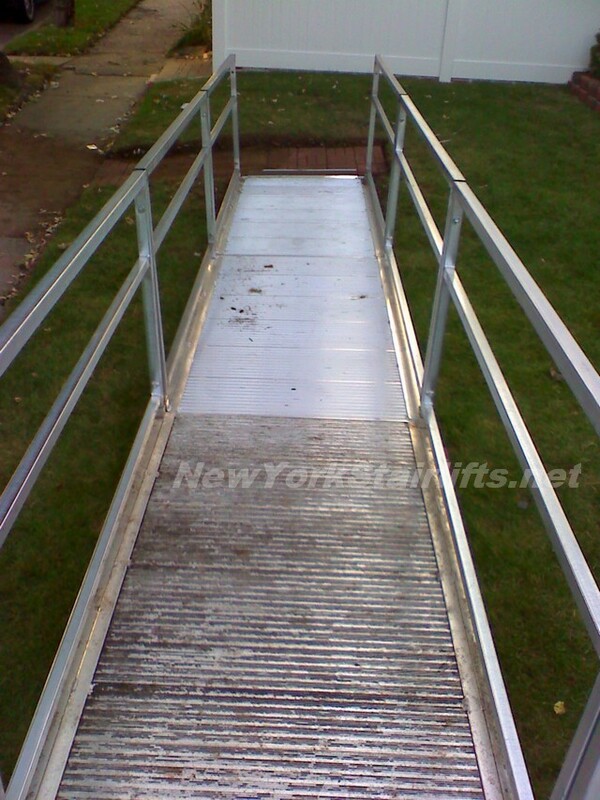 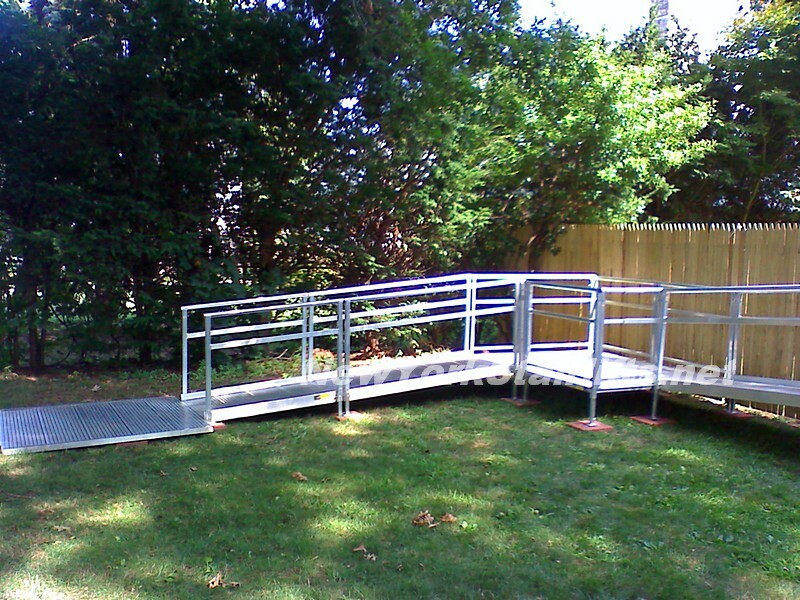 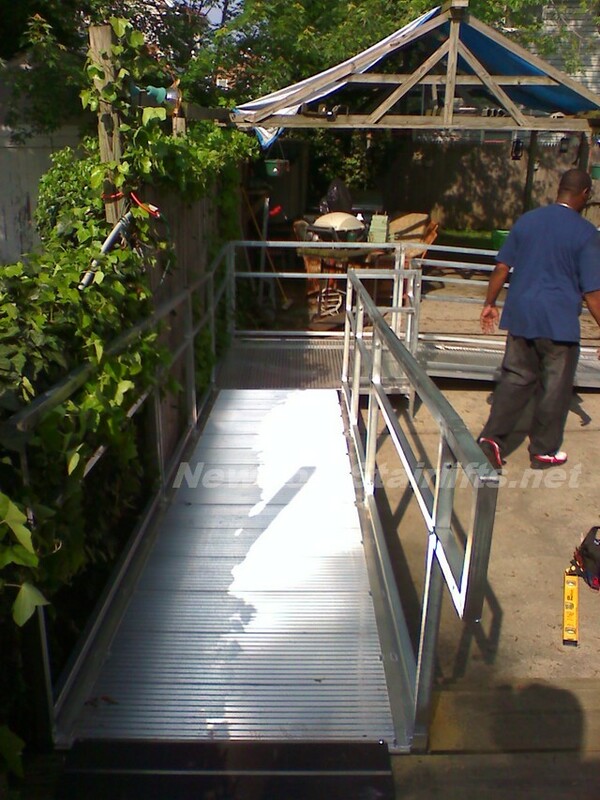 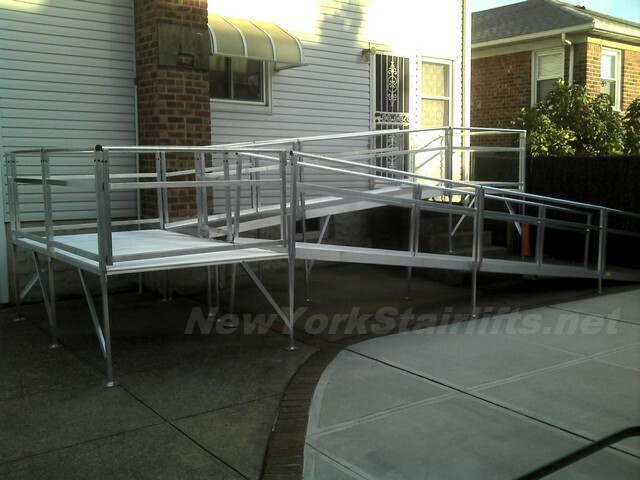 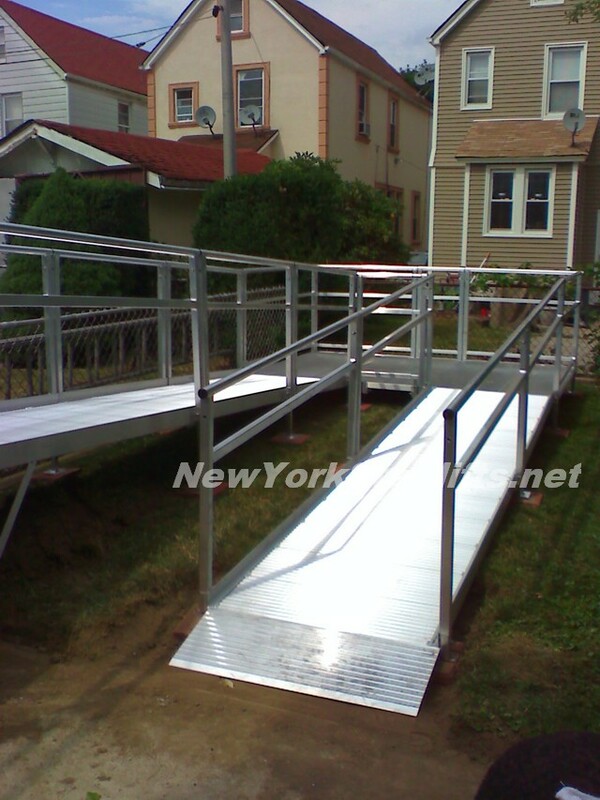 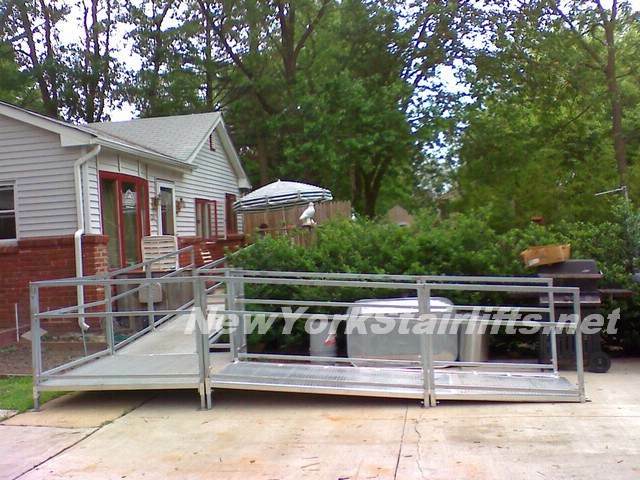 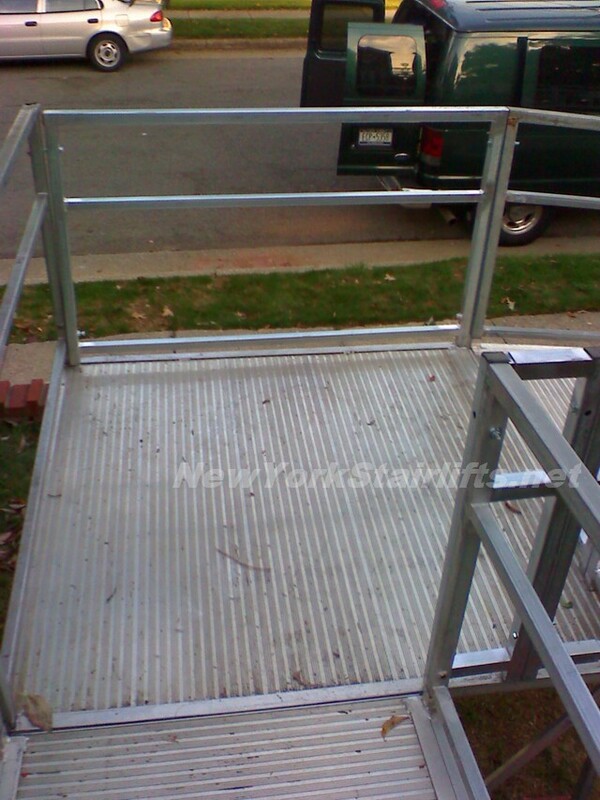 See more at our site New York Ramps. 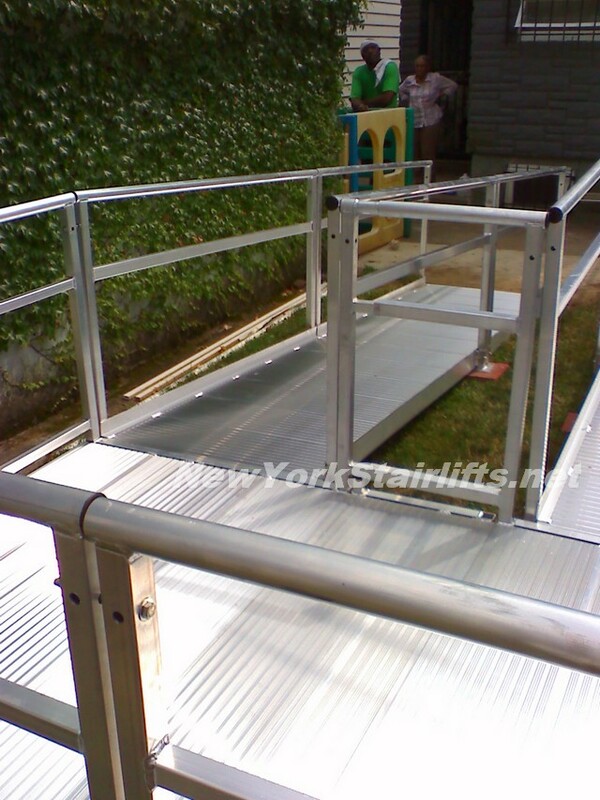 Note two sets of handrails for adults and children. 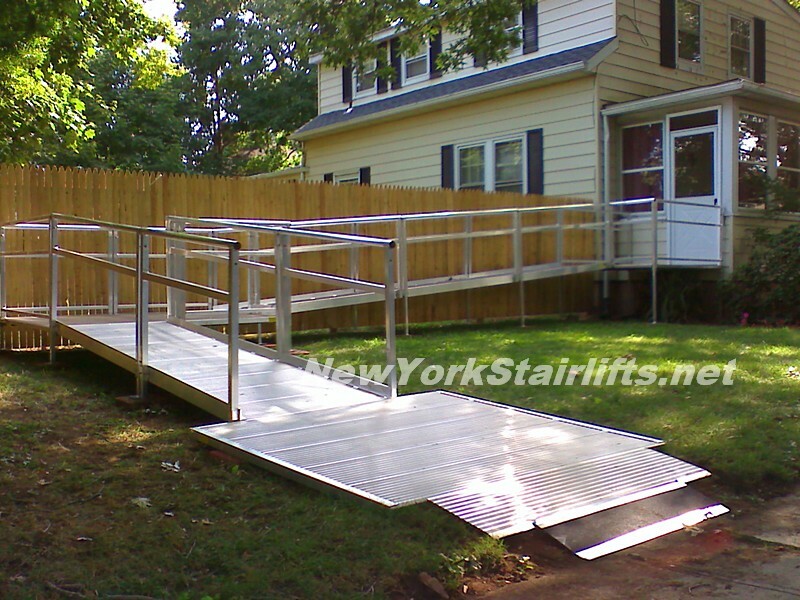 Back door heavy-duty ramp. 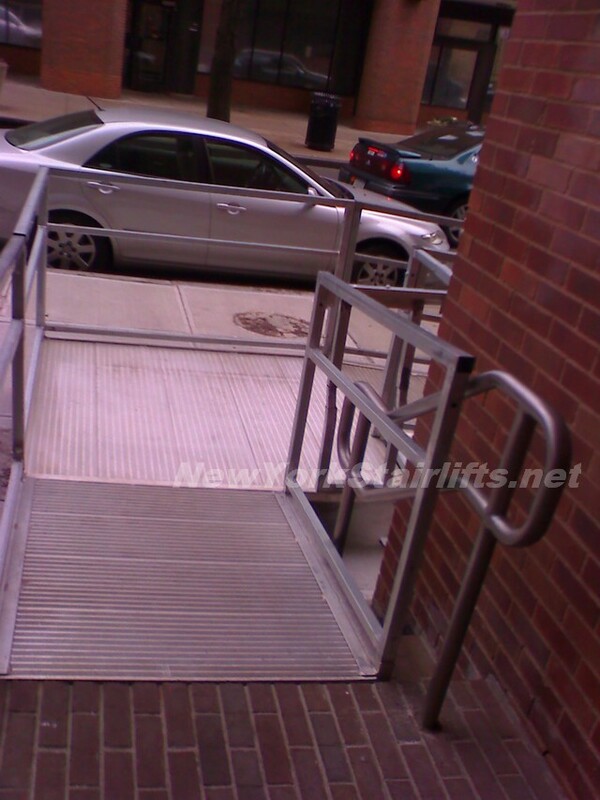 Bolted deep into the asphalt for extra safety. 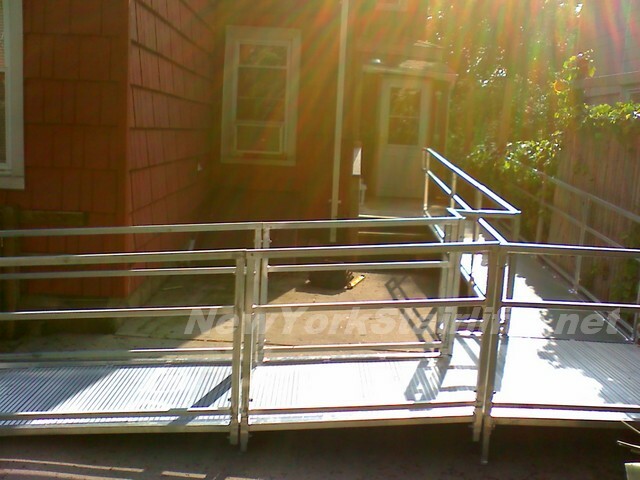 This movie studio is in the old Shaefer brewery. 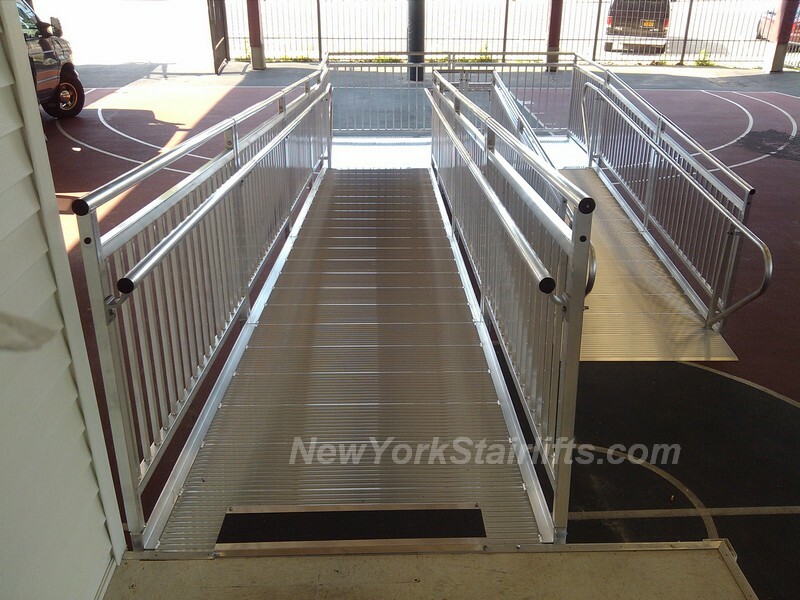 Landing panel provides a safe, smooth transition. 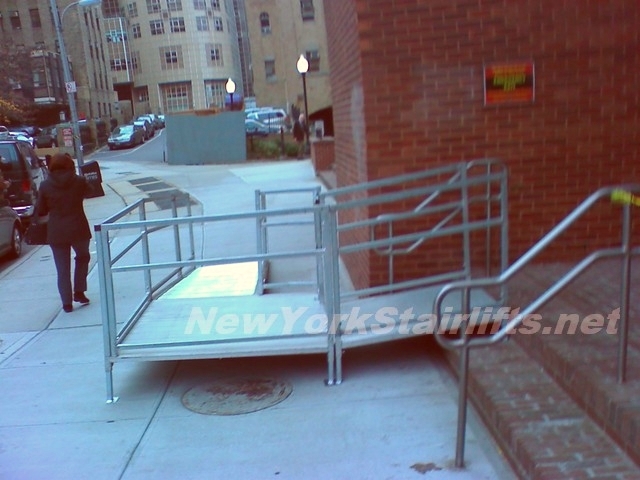 Notice the concrete support at the lower-left. 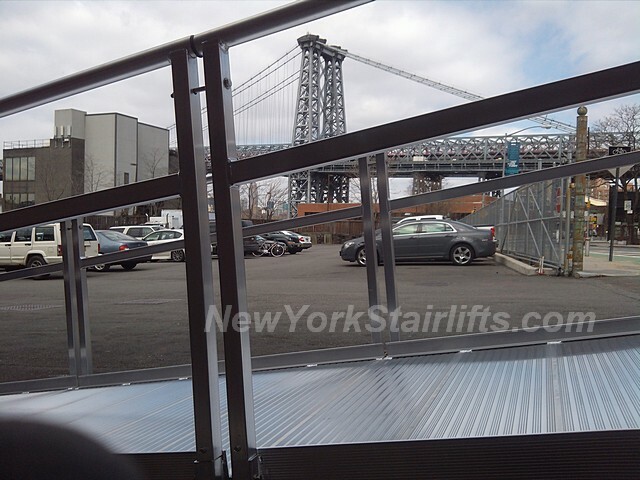 As solid as the Willamsburg Bridge! 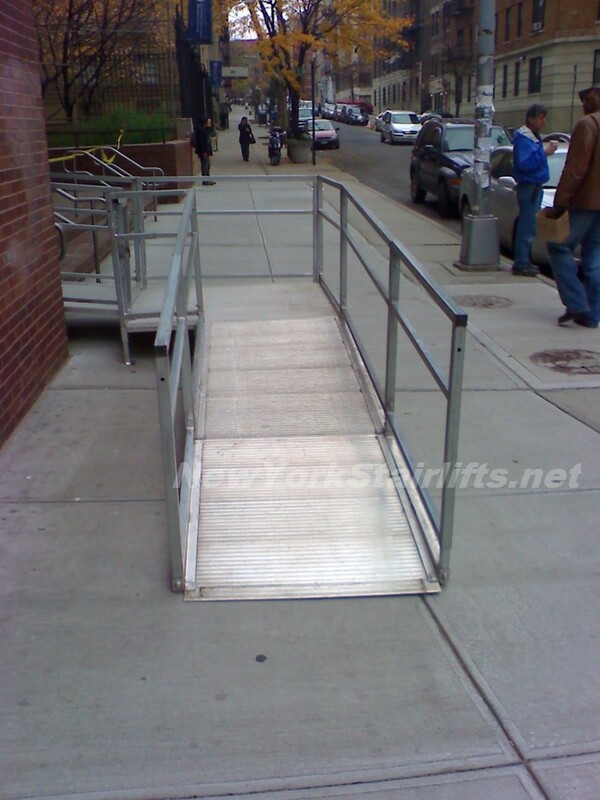 Notice how the ramp is installed so it ends flush with the pavement. 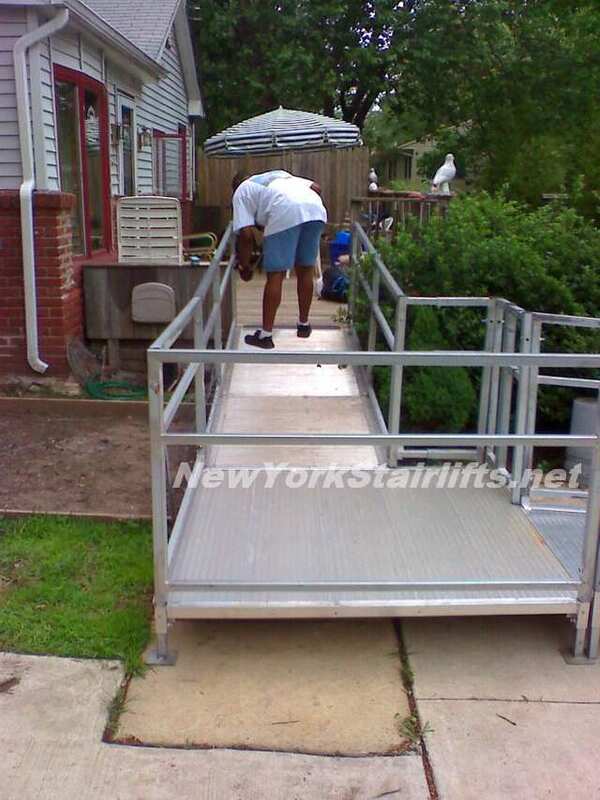 This is not as easy to do as you might think! 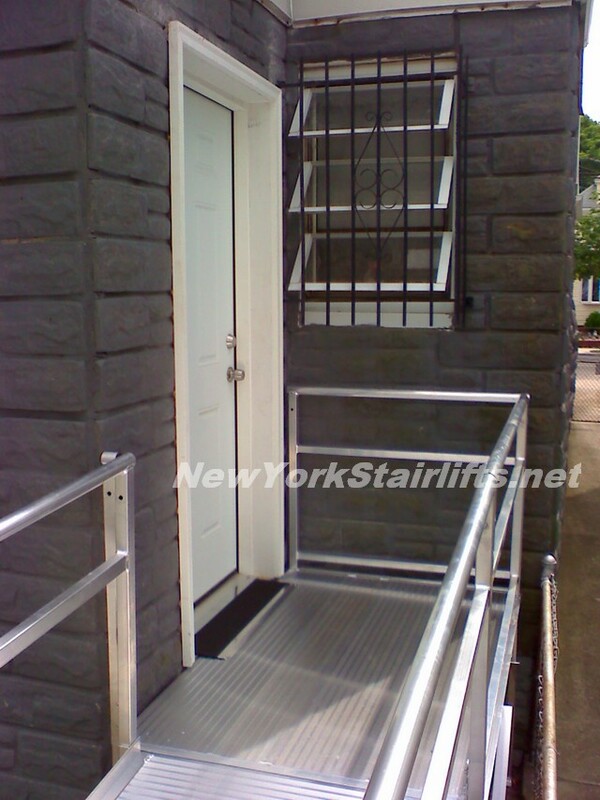 This door was installed by New York Stairlifts, including an Aesbestos test of the material content of the wall.